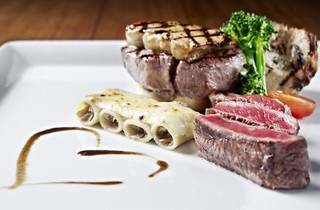 Start with Irish Rokin oysters with seared trout, cauliflower panna cotta, beef bacon chives dressing and truffle potato espuma followed by morel consomme with thin slice kobe beef and enoki mushroom. 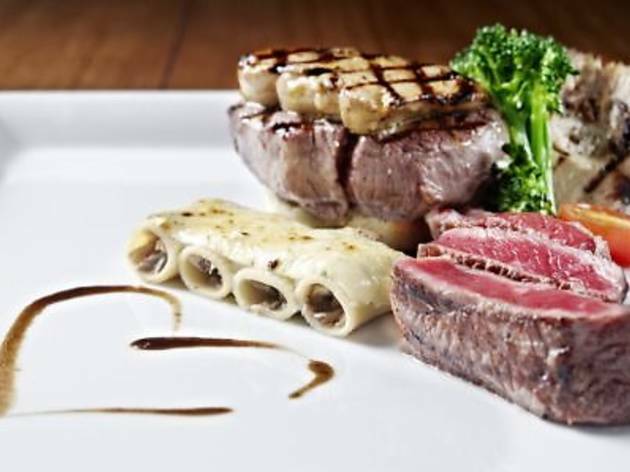 As your main, choose between the wagyu sirloin with seared foie gras and the charcoal-grilled half Boston lobster. End with the Valrhona orange chocolate cream covered with hazelnut caramelia milk chocolate and rose candy ice cream.